USA Translate can provide you with any regional or localized professional Spanish to Portuguese translation services you need. Get an instant Portuguese language translation quote within seconds. Simply use our translation quote tool to insert or upload your text, choose your language, and you’ll have a detailed estimate immediately. Amplifying your brand presence in the most exciting markets means you must be multilingual. Brazil is one of the great success stories of recent years and remains a desirable market in which to invest. However, the general standard of proficiency in Spanish remains surprisingly low. Flourishing there means making your message heard in Portuguese. USA Translate has the top-tier service your brand needs to show. Because Portuguese is the 3rd most spoken language in Europe, it expands any audience or target market considerably. 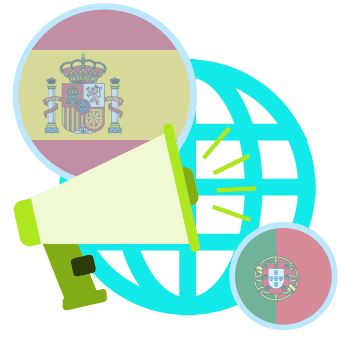 It is well worth having Spanish to Portuguese translation for your website, business guides, technology manuals, and anything else reaching an international community. Or, perhaps you need direct communication with a Brazilian or Portuguese audience for business travel and presentations, academic talks, or other reasons. USA Translate is aware of the growing influence of the Portuguese language, particularly in the world of business. Through our team of expert, native Portuguese translators who have studied, lived and worked in different nations of the Portuguese speaking world, we assure that we will provide the best Portuguese translation for your expected audience. Our experienced and focused project managers are waiting for your call to give you the best service possible, and keep you updated step by step during your Portuguese translation services project. If your audience for a product is primarily Brazilian, you would not want to use European Spanish to Portuguese translation. USA Translate has a network of over 3,000 professional translators worldwide, including both Brazilian and European Portuguese translators. 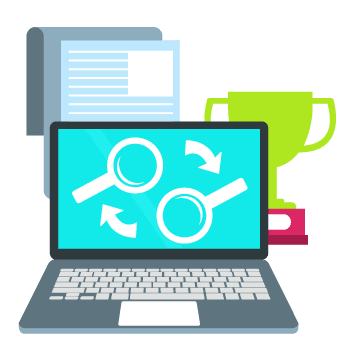 When it comes to business we can translate and localize your website and your marketing materials to just about any market. Spanish to Portuguese translation can vary in many ways, depending upon which continent the audience lives and we always keep that in mind. Individuals looking to immigrate to the US can always count on us for notarized or certified Portuguese to English translation at low rates and they can rest assured that their translation will be accepted by USCIS or any other state institution in the US including universities. The Portuguese language is the official language for and spoken by the people of, countries in Europe, Africa, South America (Brazil), and to a lesser extent, Asia and Oceania. There are some variations between Brazilian and European Portuguese, and even additional still, differences for African Portuguese. The European Portuguese understand Brazilian Portuguese, but the reverse is not always true. This is because Portugal often broadcasts Brazilian T.V. shows, radio, etc., but Brazilians rarely, if ever, hear European Portuguese. Differences can occur grammatically in infinitives and gerunds. Again, the Brazilian way of speaking may be suitable or also correct in Portugal, but the Portuguese way of speaking may come across odd or out of place in Brazil. Though for the most part the various dialects and regional variations of Portuguese are mutually intelligible, the differences are primarily in the accents and vocabulary, although grammatical differences are also pronounced in several dialects. There are regional dialects of Brazilian Portuguese as well. In general, the more removed from metropolitan areas and cities, the more than European Portuguese will not work for Brazilians. Differences like these are essential to remember, to ensure you are given the correct regional Portuguese language translation for any given document. Why Trust USA Translate with Your Portuguese Translation? 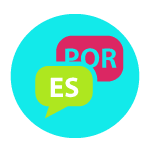 You’ve reached this page by searching for Spanish to Portuguese translation services, and USA Translate has the best certified Portuguese translators for you. Our certified translation agency only hires professional translators and native speakers who also are specialists in Portuguese culture. This way you can be sure that you will get the best certified Spanish to Portuguese translation at an affordable price. Please feel free to contact USA Translate for a free quote; whether you need our translation services for your business or in a private matter, you will be surprised about our price/quality ratio. 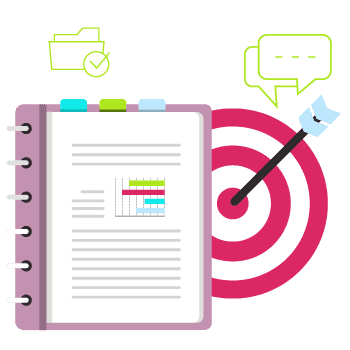 Moreover, our certified Portuguese translators will always take into account the range of business you’re in and the target group you want to reach. Portuguese Translation Experience: USA Translate has been translating documents for more than a decade, and in that experience, we have gathered a long list of happy clients. 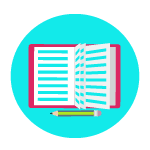 Memory Tools that Save you Time and Money: If you have lots of repetition in your document, we can use translation memory tools to help your needs and decrease your translation cost. 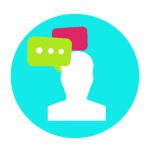 Memory tools help recognize and discount repeated text, while still assuring an experienced translator always does your translations – never a machine. Certified Portuguese to English translation is either prepared by a certified translator, or the translator offers a certificate with the translated document certifying the translation to be correct and complete. Certified Portuguese to English translation of marriage certificates, birth certificates, affidavits, legal orders, etc. are needed in courts, immigration, and other government departments. 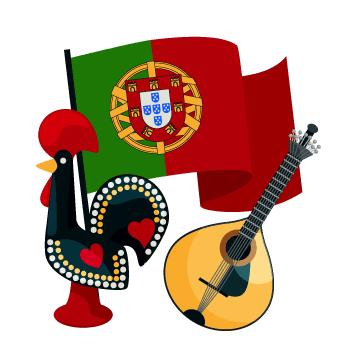 Certified Portuguese translation may cost higher than usual Portuguese translation, as it requires some extra qualification and process than a general Portuguese translator. We provide certified translations at low rates and we guarantee that our translations will be accepted by USCIS. No matter what business you come from, you can be sure that your translator has years of experience in just that industry. We provide each client with the absolute best translator possible, including those with industry-specific knowledge. We guarantee you error-free Spanish to Portuguese translation services at low rates and speedy turnaround. Our two-person Spanish to Portuguese translation strategy uses one translator to translate, and one to proofread. This ensures faster performance and virtually accurate document translation – and all at the absolute lowest cost to you. Do you know that most people who can’t speak Spanish or Portuguese, think that the two languages are the same? Interestingly they are not entirely wrong. No, we are not suggesting that they are practically the same yet historically, they are very closely related. The three dominant languages in Europe are Romance, Slavic and Germanic languages. Both Spanish and Portuguese belong to the Romance language. And while they both share the similarities with other Romance languages such as Italian and French, but Spanish is by far the closest to Portuguese. The close relation between both languages make it slightly easier for our translators to translate from Spanish to Portuguese. The real difference between both languages is of grammar and phonology. Moreover the pronunciation is quite different from each other. Another important aspect is that the Portuguese spoken in Brazil is also different from the one that’s spoken in Europe. So for all these discrepancies, you have to be very careful in order to find the right kind of translator. And lucky for you, we exist. At USA Translate, we are taking care of all your problems. Our native translators fully understand the language differences, even if there’s one as slight as nothing. So contact us and leave all your translation worries behind.